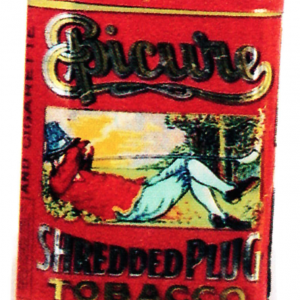 SKU: 79-159. 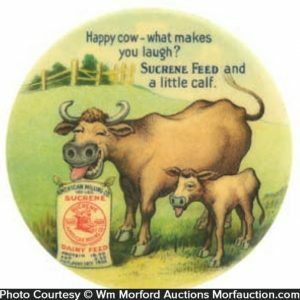 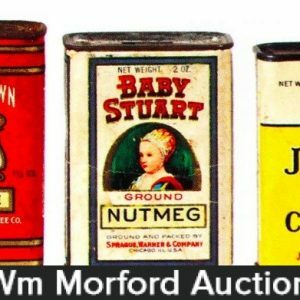 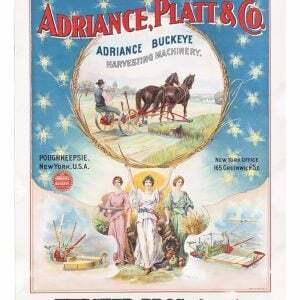 Categories: Antique Spice Tins, Antique Tins, Comic Character, Spices. 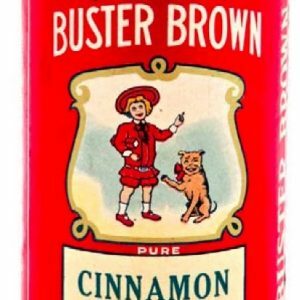 Company/Brand: Buster Brown Spice, Jas. 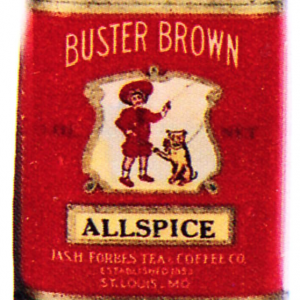 H. Forbes Tea & Coffee Co..
Buster Brown Spice Tin: Early paper label (over cardboard) 1Ñ2 lb. 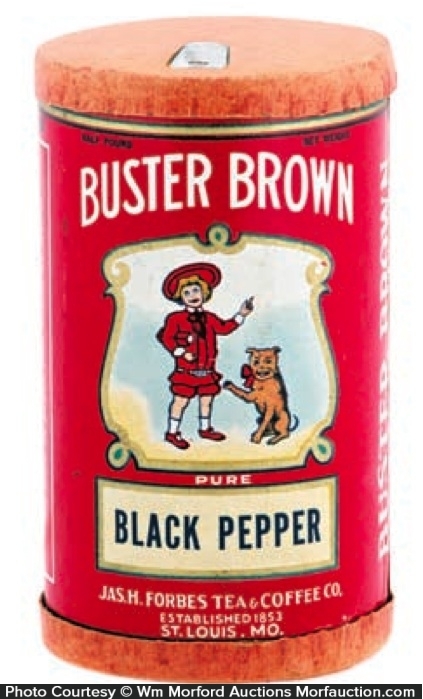 size spice container for Buster Brown brand black pepper (Forbes Co., St. Louis), w/ nice images of early style Buster Brown and Tigre (both sides.) 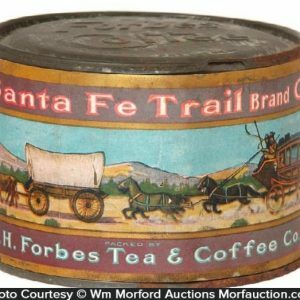 Label is clean, bright and exceptionally nice, w/ pinching marks on bottom side cardboard base.